Well done if you made it to the end of my list! Are you taking part in 17 for 2017? Have you made any other resolutions? I’d love to hear. I had no idea this 17 for 2017 was a ‘thing’. Clearly I am always the last to know!! I like and agree so many of your goals, but, to me, the ‘whole family photo’ is the most important one. The only picture I have which comes close to this is with a parent’s shadow, because they held the camera! Take loads of pictures, you can always lose the ones you don’t like! I like your last resolution xD I keep finding myself buying craft materials when I really shouldn’t. I’m thinking of learning a new language and finishing off projects before I start any more big ones. Great plans! I’m addicted to buying craft bits and I have nowhere for them to go! For the tidying up, may I suggest FlyLady.net? Some of her things make me want to kick her hard in the shins, but others are very reasonable. I’ve used her system to get several households in order (I’m a live in care giver). Absolutely, thank you! 😊 Good luck with all your projects, I’ll be keeping an eye out. That’s a great post indeed. My life;s experience has shown that organising our own life starts with setting priorities and your list of intentions has clearly achieved that. I also loved the fact that many of the “items in your drawer” so resonated with what I would wish to do! I could get behind the monthly blog post numbers but as time has passed I have found I have less to write about. I think I’ll try this one: 17 ideas for my blog a month (I may not use all of them, but maybe it will freshen up my blog and keep people interested in what I say). That sounds like a good plan. I often have a few ideas but bin the majority! Ooh, that’s a fun way to do resolutions 🙂 I tried a ’23 before 23′ thing a few years, which failed miserably! Fantastic 17 for 2017 set of goals. I love the frugal one and the regular fe cluttering one. How often do I complain that there is nowhere to prepare food for the accumulated stuff in the kitchen. Very best of luck. I too have a 17 for 2017 list. I do like this concept, but wouldn’t even know how to start to put it together. Too late for this year, but I will think on it and maybe do one for next year. Looks like fun. Happy New Year and best wishes on meeting your goals. Thank you, happy new year to you too. I will confess I forgot about it until yesterday and I just started off with the goals I was certain of. Love these goals, there are so many that I should adopt ! Especially not adding to the heaps of” essential” craft materials that have miraculously accumulated , am determined to adopt a “Use it or lose it ” regime for 2017 – wish me luck! I will need a bit of luck I think! Maybe 2017 will bring me some self control! Looking forward to hearing about your progress too! Great list! I can identify with many of your goals, and am looking forward to seeing your progress. 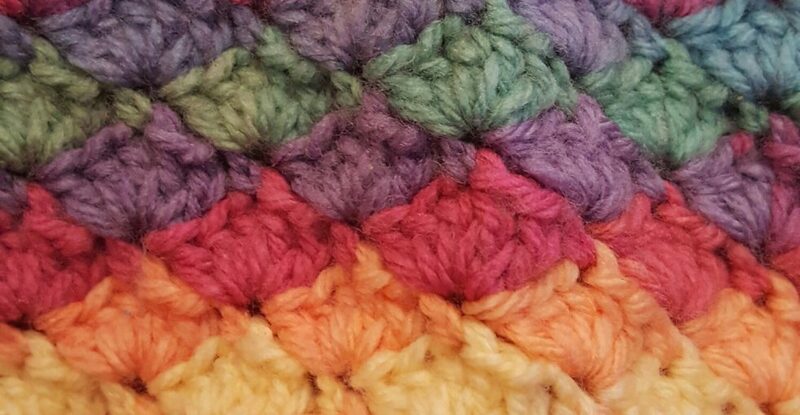 I am a fan of your blog, so the crochet posts will be fun for me! Happy New Year! I haven’t considered doing something like this before, but those sure are impressive goals. I pray that you can achieve them. Great goals! I’ll be interested to see how you (and all of us who’ve done the same) fare with them.